I learned in the video that this new product is a lock that supports fingerprint recognition. It can be used to lock electric cars and bicycles. The fingers can be unlocked with a single tap. From the screen, even if there are water droplets on the lock. Does not affect the unlocking effect. The picture also shows that the car lock brand is areox, its Chinese name is Mars Exploration Technology Co., Ltd. According to the official website information, the company was established on May 26, 2015. The company is headquartered in Shenzhen, mainly engaged in product design, research, and development, production, sales and service of intelligent electric aircraft. At present, the main products are multi-rotor UAV products. And accessories, VR, handheld cloud and other smart devices. 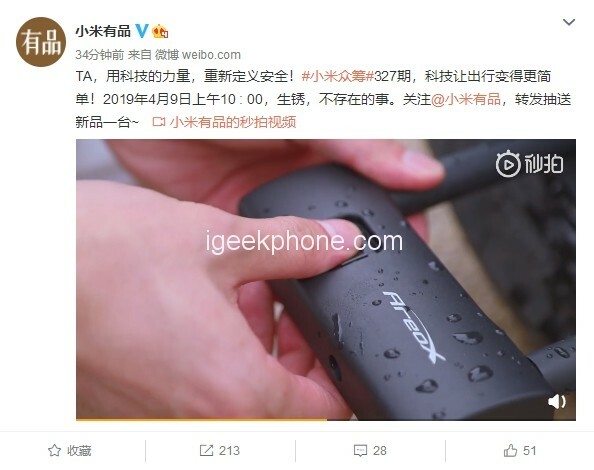 Visit Also: Xiaomi Mi9 Vs IQOO: A Practical Experience For a Month to See Which Is the Best Choice? At present, the price of smart car locks on the market is generally 2,300 yuan. 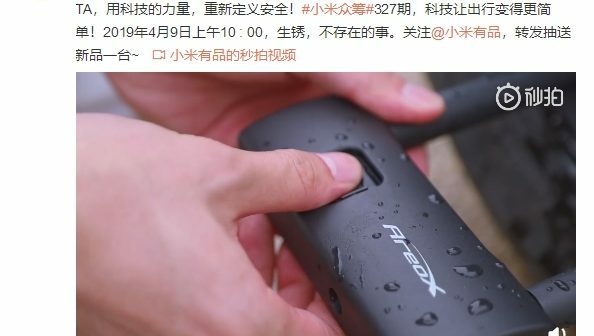 There should be little difference between Xiaomi and this product. We will wait and see. Previous ArticleXiaomi Mi9 Vs VIVO IQOO Review: A Practical Experience For a Month to See Which Is the Best Choice?